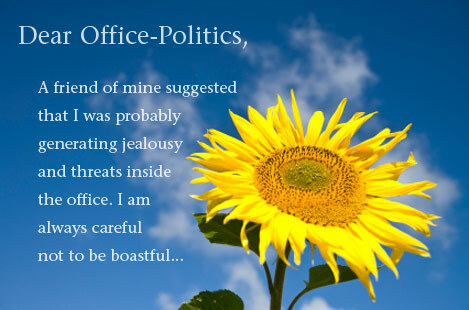 Office-Politics » Could somebody be bad-mouthing me? Could somebody be bad-mouthing me? I work at a small Landscape Architecture office, where I have worked for 3 years. I consider myself a relaxed, physically attractive and very ethically-conscious person. The first year was very good… Made friends, socialized with co-workers outside the office quite a bit and had a raise after a few months. I even had the wife of a co-worker tell me how much my colleagues appreciated me, and a few people actually tried to set me up with blind dates with their friends. About 15 months ago, however, I noticed that people were starting to exclude me from lunches, happy hours, etc. Many are still very nice and conversational with me while in private but as an office group they have actually gone out of their way to keep me out. It is very bizarre. One time I privately asked the office manager, who has worked there for 30 years and knows everybody, if I had done something perceived as dishonorable or something, and she said absolutely not. A friend of mine suggested that I was probably generating jealousy and threats inside the office. I am always careful not to be boastful, but since this is anonymous I will say the following is true: I am about to get a professional landscape architectural license, something the owner does not (and cannot) have and only his partner carries one. The partner however is computer-illiterate and needs more help than me to get anything done. I also speak three languages which is incredibly helpful in the type of work that we do and the clients appreciate me for it. So my question is this: Is it possible that jealousy is responsible for my sudden isolation? Could somebody be bad-mouthing me? Could it be my co-workers are being manipulated? Do people really do these things? It seems hard for me to believe since I would never react like that to a situation like this. Well, it certainly sounds like “something is growing in your garden,” but we doubt that you were the architect of this ugly landscape! While it is possible that you have done something to upset your co-workers, it is a less likely explanation of your circumstances than the one your friend gave you. We say this because individually most of them are still friendly and respectful to you. The most likely explanation is that your new license is threatening to someone in power or someone who has access to power. The threat can be in the form of status and ego, but it might well even be in terms of perceived business risk, since someone may fear that you will be in a position to start a competing firm. If this is the case, many of your co-workers may not have changed how they feel about you but they are feeling pressure from someone in power. They may be playing CYA in public so that they are not perceived as preparing to leave with you or just to display agreement with what they may have been told by whomever is threatened — that you are dangerous. So they might not want guilt by association. Do people really do these things? Yes, everyday! Our short-term advice is to try to build a close relationship with someone; promise them confidentiality, and ask them to explain what is occurring. Also, you might find ways to “leak into the airwaves” that you love your job and the firm and have no notions of starting your own. Find ways to subtly send messages that you love the role and capacity that you have, not running a firm (of course, if this is true). Longer term, we suggest that you learn to be more realistic about egos, threats, power and politics. The fact that you would not do this is admirable but irrelevant. In fact, if you continue to think this way you may find yourself in other situations where you won’t anticipate politics and protect yourself. We can’t help you “root out this ugly weed,” but maybe you can at least “prune back the thorns” of this problem growth. Going forward, be sensitive to egos and take measures to present an aura of loyalty, team player, client focus for the good of the firm. Spread word of your willingness to go the extra mile to help others look good, too. By the way, you have done nothing wrong. Competent, strong people are sometimes resented and need to soften their impact with hypersensitive people. Be confident that with some careful ‘tending’, your garden will bloom. Thanks for writing to Office-Politics.